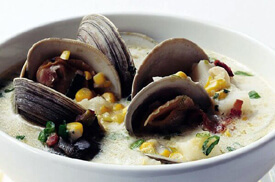 Nothing can replace live fresh clams when it comes to making New England Clam Chowder. Let me show you how to get more flavor! Rent this class today and enjoy a delicious soup!